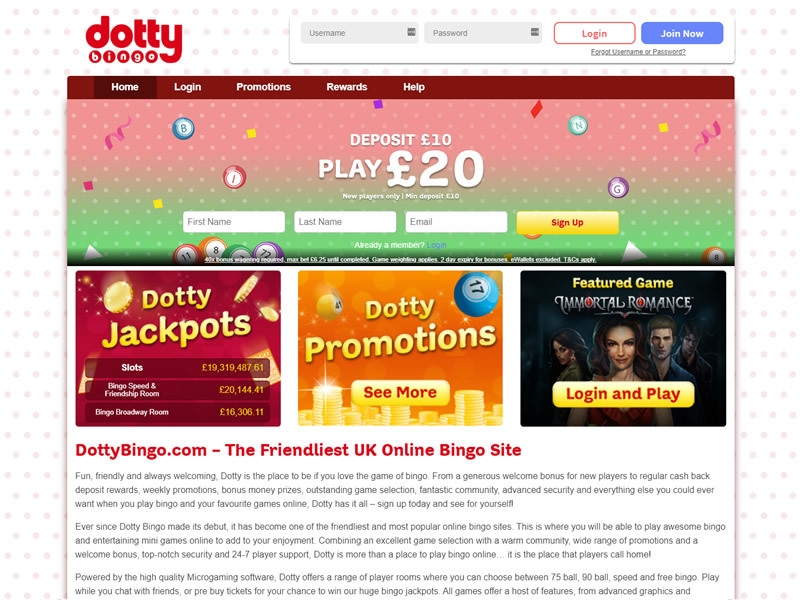 It’s unlikely Dotty Bingo would appear at the top of most people’s best-known bingo sites. Although small its full of exciting promotions and a large variety of games. 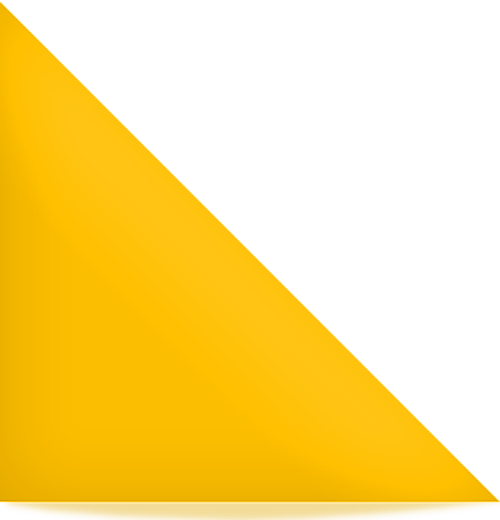 The site is easy and simple to navigate. Their goal, to be a friendly inviting and fun place to play, where players feel welcome and comfortable while playing bingo and more casino games. This bingo operator started offering its services in May 2011, when they launched the website. 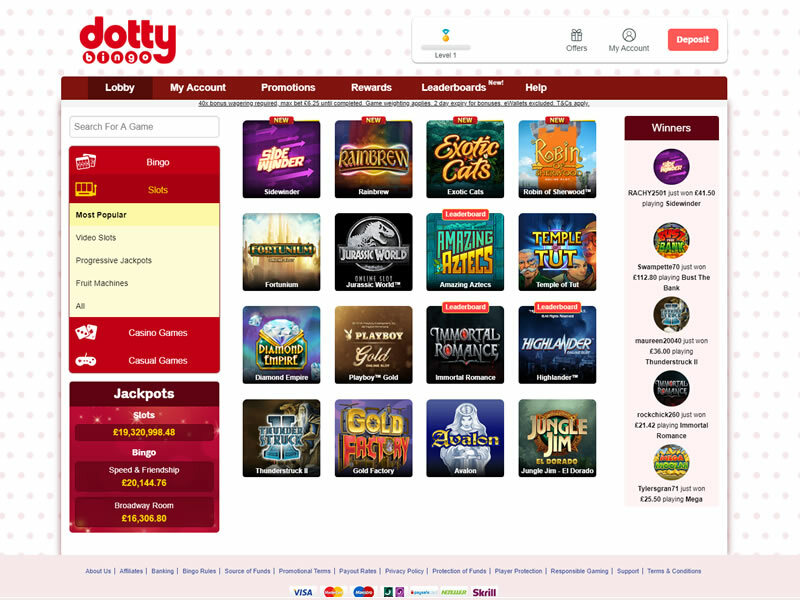 Broadway Gaming Ltd. is the company that operates Dotty Bingo with licenses issued by the UK Gambling Commission and the Malta Gaming Authority. The vibrant red polka dot design is eye-catching, and it’s easy to navigate through each different section to find the promotions and games. They currently have a bonus of up to £30 as well as 100 free spins when you sign up. 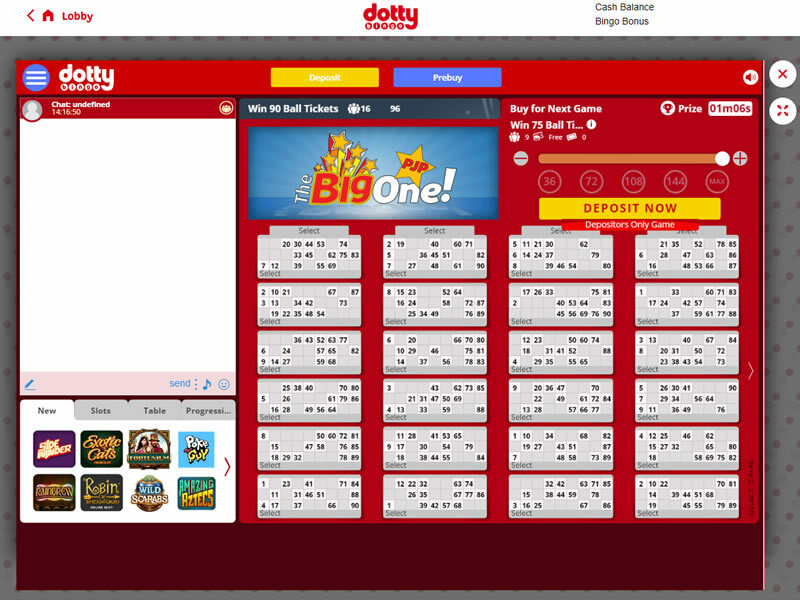 Today, thousands of players visit the Dotty Bingo website on their PCs, laptops, and mobiles. An excellent gaming selection provided in the friendliest and very timid atmosphere. Join Dotty Bingo and get a £25 bonus! 40x bonus wagering required, max bet £6.25 until completed. Game weighting applies. 2 day expiry for bonuses. eWallets excluded. Minimum deposit of £10, Play with £40 and Get 100 Free Spins. 300% Bonus up to £100 on Bingo. 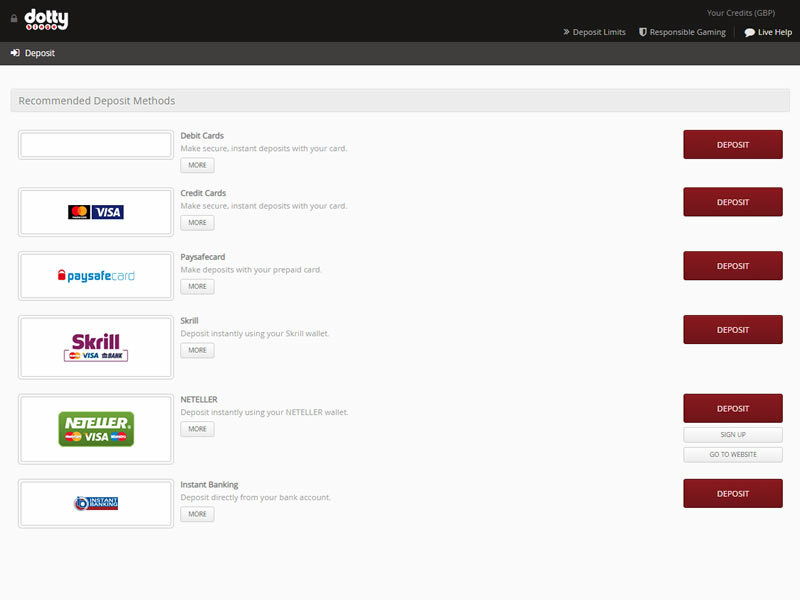 Offer must be claimed within 48 hrs of you registering an account. Further T&Cs Apply.